April 2017 Spirit House Reports & a Sea Witch Cocktail. Ok time to start it off this month with Cape Cod Vineyards /South Hollows Spirits. We are starting out with a bit more then just April so you can start looking forward to things but especially their Grand Reopening. YAA Hoo. This Friday, Truro Vineyards + South Hollow Spirits open its doors for the 2017 season! In celebration of the 10th anniversary of the purchase of the vineyard by the Roberts family, Truro Vineyards + South Hollow Spirits has released its summer schedule featuring new releases, weekly paired dinners and a summer kickoff party. After a winter of renovations, Truro Vineyards + South Hollow Spirits is proud to open with a brand new redesigned and fully accessible gift shop and tasting area. We're very proud of how the new shop looks and we hope you'll love it as much as we do - to celebrate, we'll be offering free tastings during our opening weekend! Spring hours will be Friday, Saturday, and Monday 11am - 5pm, and Sunday12pm - 5pm. We'll be opening full time in May. Tastings will be offered every half hour from 11:30 to 4:30. See you soon!! We are delighted to announce two new spring releases! 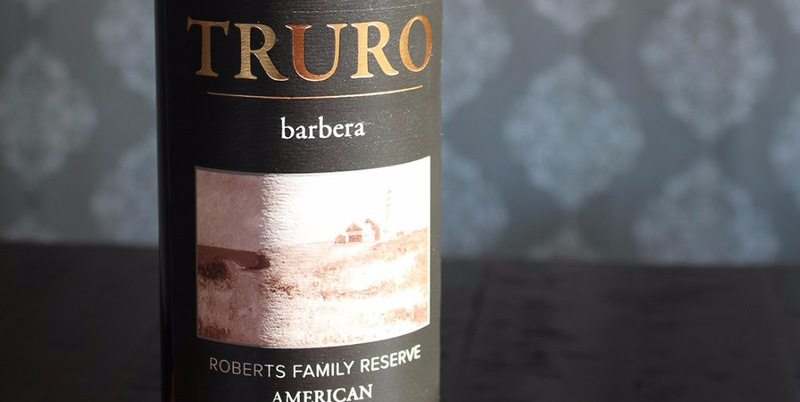 Our 2014 Barbera is winemaker Matyas Vogel's celebration of more than a decade of winemaking at Truro Vineyards. With rich cherry flavors, this Barbera is a perfect pairing for your summer barbeques and pizza on the beach. Available at Truro Vineyards opening weekend! And coming soon, our 10th anniversary Muscat - semi sweet with fresh floral notes and clean citrus flavor, this wine was made for enjoying with friends. Look for it at Truro Vineyards early summer 2017. Big News: Cape Cod Beer has expanded its Saturday hours. Now open until 4PM so you have an extra hour to grab your brews for the weekend! Friday, 4/7 – it’s National Beer Day! The Handyman Hotline is coming to Cape Cod Beer for a live broadcast! Join Larry & John as fans and listeners have the opportunity to meet and ask questions of the pros they hear on the show. A portion of the day’s proceeds will be going to Habitat For Humanity of Cape Cod to help further the important work they do to create affordable housing options here on Cape Cod. It’s the release of Cape Cod Summer… for the first time ever, it will be available in 16 oz. cans! Help us celebrate Lucky #13! Cape Cod Beer is turning 13 years old and we’re celebrating with a potluck birthday party! Bring a dish to share and get a drink ticket. Don’t worry, there’s a cash bar too if you don’t feel like cooking. Live music by the talented Erin Deneen! Our monthly cask series continues with our traditional Bavarian Hefe-weizen dry hopped with Centennial Hops. Two days only or while supplies last! Race to the Pint! It’s the biggest party of the year! Choose from a 5k or a 10k. There will be live music by Sarah Swain & The Oh Boys under the tent. Food by Wimpy’s and The Pineapple Caper food truck. $5 for non-runners. A portion of the day’s proceeds goes to benefit The Cape Wellness Collaborative. Wildlife on Tap: Snowy Owls to Saw-whet Owls. It’s the final installment in our series of nature focused lectures. Ticket proceeds benefit the Mass Audubon Long Pasture Wildlife Sanctuary. Friday, April 28th 6:30PM 24 states. 24 farms. 50 hours of footage & interviews. This documentary is the story of the local food movement. In February 2012, Nicole Cormier, Registered Dietitian and Jim Lough, Organic Farmer, both from Massachusetts, embarked on a coast-to-coast road trip, stopping at one organic farm in every state along the route. Each visit was documented with candid interviews of the farmers and vivid photographs of the farms. Screening of the film will be followed by a panel discussion by local farmers. Great News !!!!! We are now open for our regular spring hours – Saturday & Sunday 12-4pm. Monday-Friday tasting are by appointment. Happy spring! Well the days are getting longer with the sun coming up earlier and earlier. It's about the only thing that makes getting up in the morning worth while. If tt's dark outside then we know to stay in bed and pull the covers over our head harder. But interesting I am already hearing more birds in the morning as I am getting out of bed. BlueJays Cardinals and a couple warblers. But the pippers and plovers have not headed back yet and the dummy seagulls that came back to early have all been sitting in my parking lot soaking up the warmth from the sum beating down on the macadam. Anyway it's been a pretty mild winter so we don't have to much to do this year to get the grounds and buildings ready. But we will put on a new coat of paint and check all the shakes on the roof. but other than that we are pretty good. Than heaven help me since I still can not do most of the work. I figure sometime between the 15 of April and the 1st of May we will get it done as we have many out for spring and Easter break. So mark your calendars and come give us a hand. The mark your calendars for the summer and kick back the feet and enjoy the warmer waters then. Me? Let's just say I still here, things are't 100 % and still have a was to go, I have my good day and my not so good, but we will make it, on way or another Well I sure hope you don't need the help of the light beacon but if you do I hope she at her finest and brightest. And if need pass us along to the next person, you never know who will need what? Now until we see you soon, have a grate and wonderful and especially if you can do it right here on old Cape Cod. Now this is not s cocktail for the week of heart, but it it will deliver a kick an a half if not careful. So please be careful what you consume and get everyone home same even the one on the other side of the road. Be ware as she seeks to devour and destroy anything or anyone in her path ; But whatever you do be wise and drink smart. This week's recipe: Sea Witch Cocktail. Shake ingredients in a cocktail shaker with ice. Strain into glass. Garnish with a slice of orange, and serve. Took me a bit but I found this on Strega: yellow liqueur made from herbs, spices, plants and produced in Italy (Strega meaning "witch" in Italian).